Exciting News! 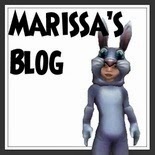 Blogging Announced & Trivia Tuesday! Boy, do I have a surprise for you! I am humbly excited to tell you that I am now a blogger for Wizards Unite! Ian and I have thrown the idea around for over two or so years now and I have always wanted to work with WU but I have had complications or have not had enough time to dedicate to both TotS and WU. Now that I am older and have more time on my hands, Ian and I have pushed this idea through! On Sundays (the first and third of every month to start off), I will be posting on the WU blog. Topics will cover a vast range of topics and I can guarantee that they will always be intriguing to read. For those of you who don't know much about WU and how the blogging there goes, every day of the week is assigned to a blogger. We post at least twice a month on that day of the week and sometimes more! 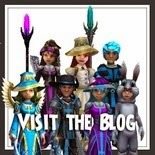 Our bloggers consist of Ian Stormstaff, Sophia (ninjatheurgist), Julia Sparklefountain, Amber (Rose) Rosepetal, Amber Firesword, Marissa Petal and myself. We always bring interesting content and we appreciate all of you that take the time to read our posts! 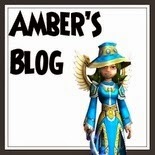 At the very bottom of the post you can find links to everyone's blogs on WU so please check them out! And now, for a very exciting part of Tales of the Spiral that only gets to happen every other week. For those of you who may not remember, it's time for Trivia Tuesday!! 1. Who is the founder of Wizards Unite? 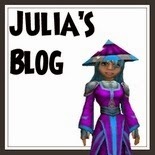 2. Who was the first blogger in the Wizard101 community? 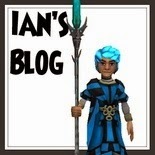 3. Who at KingsIsle is the Community Manager for Wizard101? 4. What is the name of the retired website ran by Fallon Shadowblade? 5. Who are the Co-Hosts of the Ramblers Show? 6. 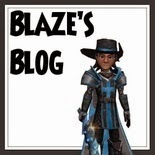 "Abracadabra" was the title of which retired blog's final post? 7. The following pet was only given out to a few fansite owners in the past along with KingsIsle staff and is said to be the rarest pet in the game. 8. What was the name of the retired PvP team that consisted of Kevin Battleblood, Ronan Dawn, Fallon Deathslinger, and Cassandra Dragonheart? 9. 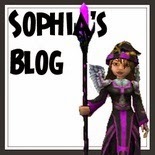 This community member is well known for her Fan Fiction that has been officially published on the Pirate101 website. 10. 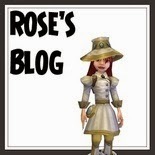 Which community blogger was eventually offered a job to work at KingsIsle and is now the Community Manager for Pirate101? How did you guys do? Did you enjoy it? Don't forget to comment bellow with your results in this weeks Trivia Tuesday and what you thought of it! Also don't forget that bellow are links to all of the WU bloggers' blogs and if you get the moment it would mean a lot to all of us if you would check them out. Until next time! See you in the Spiral! I am normally not so good at trivia but I knew most of those. It was either a really easy quiz or you are really gifted at finding trivia I actually know :D I predict this is gonna be really popular. Yay, I aced the trivia! I'm really surprised that I got included. Thank you and welcome back!